Underground testing at the Madsen Gold Project. — Photo courtesy Pure Gold Mining Inc.
Reconciliation between mined material and the mineral resource from the two proposed stopes was exceptionally strong, with actual tonnes equal to the predicted total at a 4.0 g/t gold cut-off, and actual grade exceeding predicted by 15%. When compared to initial, diluted stope designs for the two stoping areas, test mining achieved a 20% higher grade and 11% more ounces than predicted. Overall, test mining returned 56% more gold than predicted from the resource due to the mining of parallel structures in a third stoping area, discovered by close spaced drilling conducted from underground. The successful mining of these parallel structures highlights an opportunity for future growth and additional mining from delineation drilling from underground. 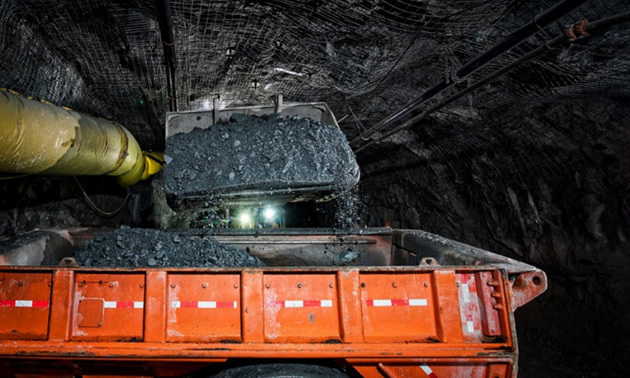 Mineralized material from the bulk sample has been stockpiled in a secure underground location at Madsen and is expected to provide future feed for mill commissioning. 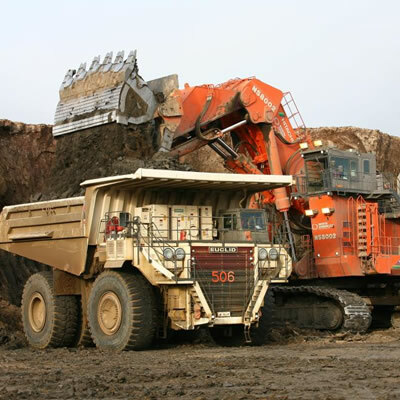 Ore transfer - Madsen Underground Test Mining. — Photo courtesy Pure Gold Mining Inc. 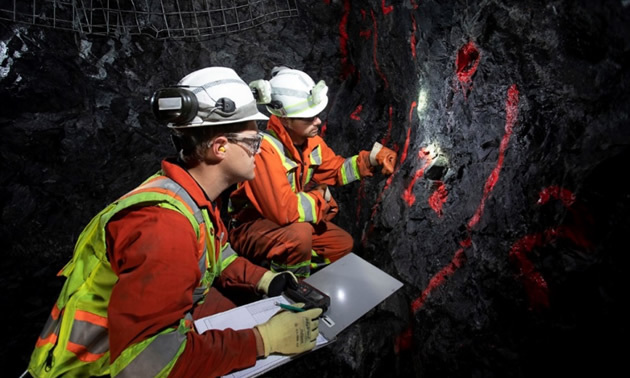 In concert with an extensive sampling program to characterize the mineralization during test mining, the drift walls were tested each round with a core drill to identify potential for additional mineralization. EW-sized (2.5cm) core drill holes were drilled with a Bazooka air drill with holes averaging 13 metres in length. This underground drill program has been highly successful, identifying additional mineralized structures outside of, but in close proximity to new mine development. Three of these tested structures have been partly mined along with the current bulk sample. Many of the structures remain open and demonstrate continuity providing opportunities to be incorporated into a future mine plan following a positive production decision. The Madsen Gold Project has a current indicated resource of 1,744,000 ounces gold at 8.7 g/t gold (in 6.2 million tonnes) and an inferred resource of 296,000 ounces gold at 7.9 g/t gold (in 1.2 million tonnes), the Project benefits from extensive infrastructure including a mill and tailings facility, paved highway access, and access to power, water and experienced labour. 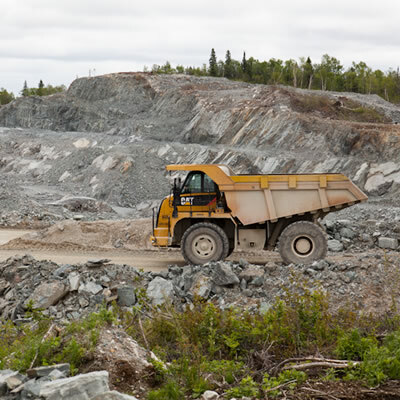 A feasibility study is underway with results expected in January 2019 and the Madsen Gold Project is firmly on the path to becoming Ontario’s next gold mine. Our mandate is pure and simple. To dream big. To colour outside the lines. To use smart science and creativity to unlock the Madsen Gold Project in Red Lake, Ontario. And become Canada’s next iconic gold company. 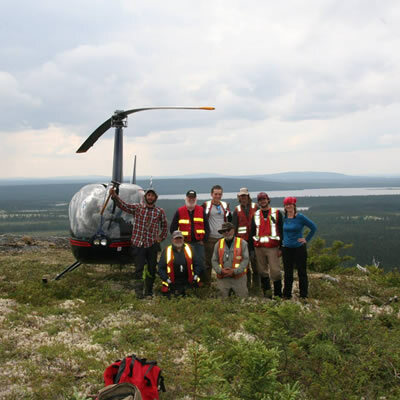 Additional information about the Company and its activities may be found on the Company’s website at www.puregoldmining.ca and under the Company’s profile at www.sedar.com.